45 Simple Lifestyle Changes for a Happier, Healthier You! No One is in Charge of Your Health or Happiness But You! Sometimes, it’s the simplest things in life that can make the biggest difference. Below, I’ve listed 45 simple changes to incorporate into your daily life for a happier, healthier you! Never Skip Breakfast. You will be less likely to reach for something unhealthy later on in the day. Create morning rituals you’ll look forward to every day. Set your intentions for the day before you even get out of bed. Believe in yourself. You’ve got this! Always have a healthy snack handy. 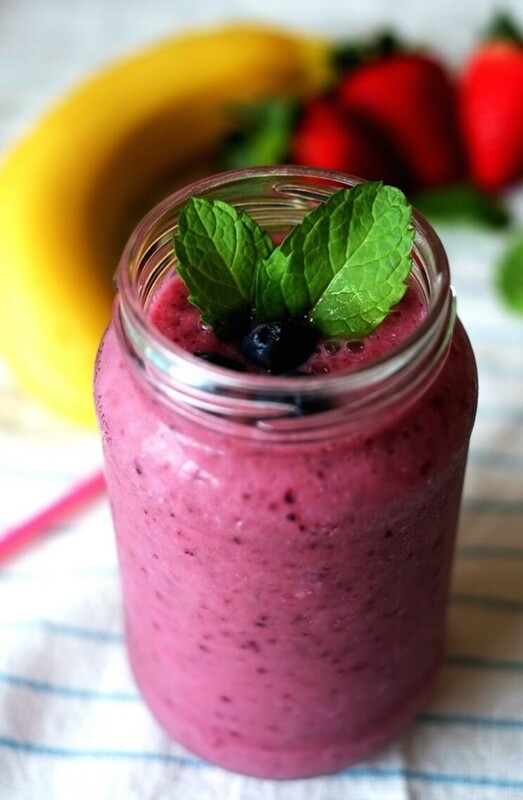 Almonds or berries will do the trick. Spend more time enjoying the outdoors. Set a goal for the day. Sip on herbal tea at the beginning or end of your day. Sneak some leafy greens into your daily regimen. Do more of the things you love. Work hard. Don’t wish for it work for it. Exercise daily. A one-hour workout is 4% of your day. Develop your own nutrition and overall wellness goals. Keep good clean food in your fridge. Create a playlist of all of your favorite tunes. Take it day by day, moment by moment. You are exactly where you are meant to be. Hold a 30-second plank in the morning. Take a Yoga class. Of course, I was going to say that! Resist comparing yourself to others. You are YOU-niquely you! It’s never too early or too late to work towards being the healthiest you! What lifestyle changes will you incorporate into your routine? “Smiling Makes You Look Younger.” Creative Dental – Westfield, New Jersey. N.p., 04 Nov. 2016. Web. 05 June 2017. Why I drink 2 tablespoons of Apple Cider Vinegar (ACV) everyday! You’ve probably heard the claims. But even if you are aware of all that apple cider vinegar has to offer, you might find it hard to believe that just one food can offer so many benefits. Surprisingly (or maybe not) it’s true! Drinking apple cider vinegar daily is a sure-fire way to improve every aspect of your health and your life. Raw, organic, unfiltered and unpasteurized apple cider vinegar (or ‘ACV’ for short) is one of the oldest and most useful remedies on Earth. It has a wealth of raw enzymes and beneficial bacteria which are why its so healthy. Just keep in mind that you should never drink apple cider vinegar straight as it can burn your esophagus. Instead, mix one tablespoon with 8 ounces of water. 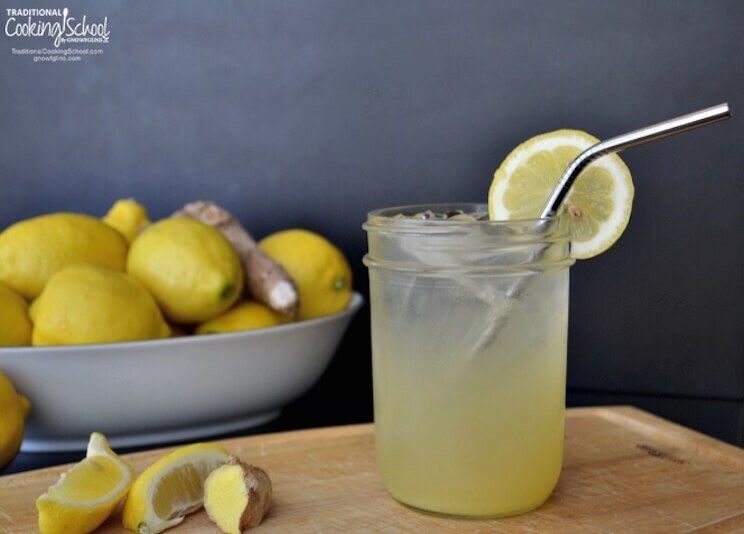 If you don’t like the taste, use a straw to minimize contact with your taste buds. Adding a bit of raw honey can help too. My reason for taking ACV, I’ve had horrible allergies and sinus issues my entire life. I was the kid that had to go for allergy shots every week. As I got older I did outgrow a lot of my allergies but 3-4 times a year I was hit hard. I thought moving to the south would help but unfortunately, unless I was by the ocean I still had many issues. So I learned to live with taking over the counter allergy and sinus medications. In my 40’s I started to realize that something in the sinus medications was making me depressed so it put me on a mission to find something that I could do naturally. I read tons of articles but what kept coming up repeatedly was add 1 – 2 tablespoons of ACV to a glass of water would do the trick. So, I decided to give it a try. It took time getting used to the flavor and I’ve tried all different concoctions which I will share some of my favorites. But I noticed right away that my sinuses were improving and I hardly ever need to take any over the counter sinus medications. And I haven’t had a sinus infection in years. Here are some of the other great benefits of taking ACV every day. It can soothe sunburned skin. It is used as a natural aftershave. It is effective in repelling fleas on your pets. Spray one part vinegar and one part water on your pets’ fur and rubbed in generously. Saturate the entire coat, and continue every day for a few days to a week. Any flea infestation will surely be gone. It helps reduce the number of Salmonella bacteria on fresh salad vegetables and was especially effective when mixed with lemon juice. Many people also use a vinegar-based mixture to wash their fruits and vegetables after they buy them from the store. Even if your produce is organic, there are likely still pesticides on it and this is a great way to wash those off and eliminate any germs from your fresh fruits and veggies. 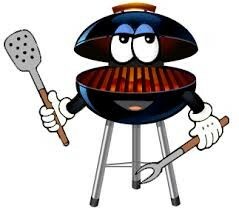 Well, the weather is finally getting nice and we all are eager to break out the grills and have some backyard barbecues. Don’t go for the old fatty and nasty burgers and dogs. This year let’s try something new, healthy and delicious. Get the gang together and try some of these healthy delicious recipes. Whisk together pineapple juice, aminos (in place of soy sauce), SPLENDA® Sweetener, ketchup, garlic, and ginger. Pour into a large resealable bag and add chicken. Let marinate in the refrigerator at least 4 hours and up to overnight. Heat a grill or grill pan over medium-high heat. Brush each skewer with olive oil and season with salt and pepper. Grill skewers, turning occasionally until chicken is nicely charred and cooked through about 12 minutes. Serve with lime wedges. Preheat grill to medium-high. Skewer steak, scallions, tortillas (folded), and peppers. Drizzle with olive oil and season with salt and pepper. Grill, turning occasionally until steak is medium rare and vegetables are tender and slightly charred about 7 minutes. 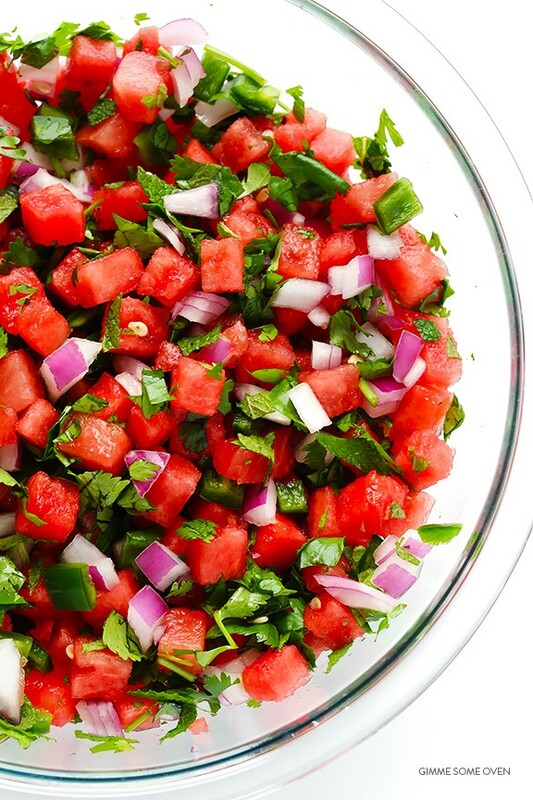 Combine diced watermelon, cucumber, red onion, cilantro, jalapeño, garlic, lime juice, and salt in a bowl. Let sit 10 to 20 minutes to let flavors meld. Serve with chips – or better yet – use as a topping on your grilled chicken or shrimp. You can also make this with strawberries in place of the watermelon. When choosing a food source it is important to understand why. I didn’t think much about it until I put thought into what foods I put into my body. It is always easy to say that I would like to put something more natural into my body. Key features exist in food sources and are often misunderstood. The goal is for you to understand some key differences in these products that we come in contact with almost every day. Salt has been around as history has record. It has uses well beyond just seasoning food. When it comes to choosing salt, we have many choices on the market and it is now understood that choosing a more natural salt is better. We are inundated with iodized sea salt. The most common brand I have seen is Morton’s iodized salt. This is fine and dandy when in a pinch and need to add some flavor to a recipe, but for daily use, we can make a better choice. 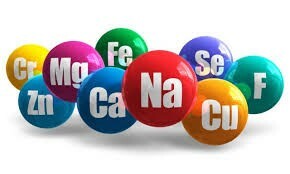 Sea salt now includes a variety of trace minerals and we need these minerals to help cellular reaction occur in our body. You can have well over 75 trace minerals in different varieties of sea salt. If you get the regular Morton’s table salt, it only has two minerals. By using sea salt, you will give you body more of the nutrients it needs for your metabolism. It is amazing to me that the ratio of water in our bodies compared to the ratio of water on the earth is very similar. We know how important it is because the human body will expire without water much sooner than if we didn’t eat food. When making a choice on which water to preferably drink comes as an extremely loaded question. I have spent much time researching water and have concluded that natural spring water suits me best when choosing my drinking water source. Let’s keep it simple. Compare distilled water to spring water. Distilled water is processed by boiling water through a distillery and capturing it in a clean container for use. When it goes through this process you are left with the purest of water molecules because everything else is evaporated out or left behind in the original container from which it was boiled. What is often left behind is precious minerals that would stay in the water if you were drinking it straight from the spring source. It is very similar to salt that traces ionic minerals are naturally found in spring water sources and this water is more beneficial and easier for the body to process. At the end of the day, I don’t want anyone to over think his or her water consumption and choose not to drink water because you don’t like the source. I like to call this breed of people “water snobs”. Rather, make sure you are drinking ample amounts. If you are not sure what that is, then make sure to drink enough water that the urine runs clear at some point of the day and that you urinate at least three to four times throughout the day. Sugar is another example that you can make a better choice on the microparticles that can exist within its crystalline structure. We have for years used white sugar as the mainstay for our cooking recipes and it is often used in abundance due to how cheap it is through its commercial production. This, in my opinion, is the main culprit of all the sickness and disease that plagues the world. In the year 1820, we ate less than 20 pounds of sugar per year. Now in current day 2017, some people consume on average over 130 pounds of sugar per year!! (2) People literally eat their own body weight in some cases of sugar each year. So what I am about to explain, when choosing a better sugar, please don’t take it as a reason to add another tablespoon to your coffee. Cane sugar is like salt and water in the fact that it has trace elements found in it. White sugar has non-trace elements. The natural cane sugar can give your body some of the trace nutrients that help metabolism, but I still don’t feel that the good outweighs the bad in this case. So next time you are baking in the kitchen and the recipe calls for sugar, don’t be afraid to try cane sugar versus white sugar. Any way you break it down; no one is going to argue with a more natural source of food when it comes down to it. Trace minerals are a very important part of your metabolism and hundreds of thousands of Americans are suffering from simple trace mineral deficiencies. If you are one who has never thought about your salt, sugar, or water source, then now is the time to make the change. So next time you are cruising through Wal-Mart and have nothing better to do, pick up these products and read the source. Get motivated, and make a better choice!